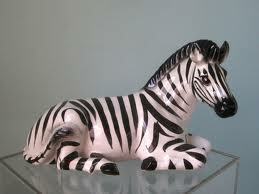 I ordered this wonderful, vintage zebra for a client a few weeks ago. He never showed up. He's out there somewhere but never arrived at my client's home. Has anyone seen something similar? It was a one of a kind find and about 15" long x 10" h. Thanks for any information!